“Twenty-five years ago this week, our nation took a major step toward a more equitable and family friendly future when the Family and Medical Leave Act (FMLA) became law. It was the country’s first national law ever to recognize the challenges working people face when children are born or adopted, or serious health issues arise. The FMLA advanced women’s equality in the workplace, but it was only a first step. Today, with the country in the midst of another historic conversation about gender equality, paid leave is essential to creating the kind of lasting change women, families, businesses and the next generation need. As a nation, we have reached an extraordinary moment of consensus in the effort to win paid family and medical leave for all. There is now broad and growing agreement among voters, scholars, lawmakers and business leaders, across political parties and ideologies, that we need a national paid leave plan. But the details matter tremendously and any national plan we adopt must be affordable, sustainable and inclusive. There is a strong body of evidence from the private sector and successful state programs that demonstrates what works. We must not be fooled by half-measures or fake proposals that ignore the research and policy testing of the past two decades. Proposals that rely on scarce resources and threaten longstanding programs like unemployment insurance or existing Social Security funds, without providing new revenue, will do more harm than good. So will proposals that create false incentives for employers to offer paid leave, fail to provide meaningful wage replacement or exclude the key reasons people need leave — such as for their own serious health issues or those of a loved one. It is past time for Congress to fulfill the promise of the FMLA by passing a national paid family and medical leave plan. But not just any plan will do. 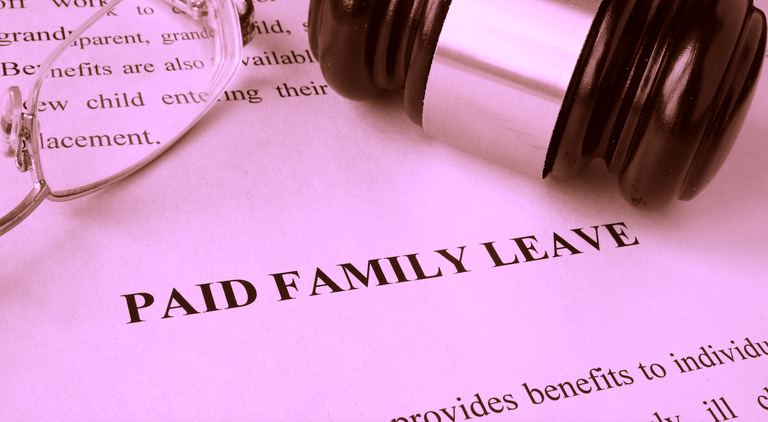 Lawmakers should consider the evidence and support the Family And Medical Insurance Leave (FAMILY) Act, the leading paid leave proposal in Congress. It would create a paid family and medical leave insurance fund, similar to those working well in states, that would make paid leave available to all working people for the full range of serious personal and family care-giving needs people have throughout their lives. NOTE: Find demographic data from all 50 states and the District of Columbia that demonstrate the need for a national paid family and medical leave plan that covers all working people for the full range of care needs at www.NationalPartnership.org/PaidLeaveMeansMap. Ohioans are caught between their work and family responsibilities. Across the country, many men want to play a larger role in caring for their children, but unsupportive policies and stigma hold them back. Debra L. Ness is president of the National Partnership for Women & Families. This organiation drafted and led the fight to pass the Family and Medical Leave Act. The organization promotes fairness in the workplace, access to quality affordable health care and policies that help women and men meet the dual demands of work and family.